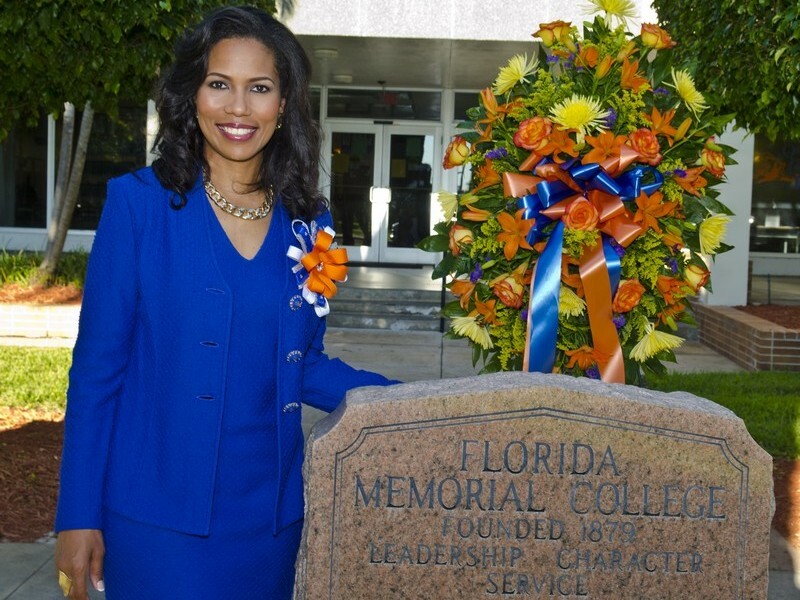 The Trump Administration has invited the leaders of the nation’s Historically Black Colleges and Universities (HBCUs) to join them on Feb. 28 for a meeting of the minds; and Florida Memorial University’s (FMU) president, Dr. Roslyn Artis, plans to be present and accounted for. Artis, along with over 100 other HBCU heads from around the country, will meet to network and discuss challenges and possible solutions during the meeting spearheaded by Omarosa Manigault, the White House’s Director of Communications for the Office of Public Liaison, Rep. Mark Walker of North Carolina and Sen. Tim Scott of South Carolina. Artis said the meeting itself wasn’t a complete surprise because Manigault, who is an HBCU graduate, had reached out to leaders at an earlier conference and promised to put HBCUs before Trump as an agenda item. But Artis did not expect the meeting to happen so soon. “I was a little surprised initially that HBCUs had advanced on the agenda as quickly as they did,” Artis said. But she is both prepared and excited about the opportunity to speak about FMU before GOP lawmakers and her peers, despite widespread questions about the Administration’s sincerity. 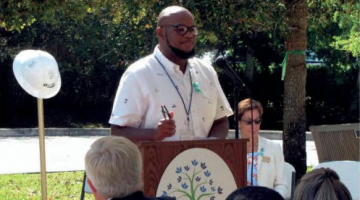 “Sincere or not, I can’t necessarily judge that, but I will tell you I have a clear agenda, so even if they were not sincere, they are going to get an earful from me,” Artis said. 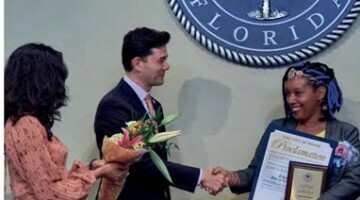 Florida Memorial is South Florida’s only HBCU. Founded in 1879 as the Florida Baptist Institute, the university now offers 41 undergraduate degree programs and four master’s programs. Artis and her faculty and staff are constantly working to expand the university’s offerings to provide educational opportunities that will afford its students high yield job opportunities, including Aviation and Cyber Security programs. “We’re about building up that middle class. We don’t want our kids to start at $20,000. We want our kids to start at $60,000 a year and have a good standard of living,” Artis said. Yet, in order to do that on a much broader scale, Artis said HBCUs like FMU need more resources. Citing stats which show HBCUs only represent three percent of the educational ecosystem, but produce a large proportion of graduates of color, Artis said she wants to educate lawmakers about the uniqueness of the institutions and the contribution they make to the economy. When asked if the Thurgood Marshall College Fund’s involvement in planning the meeting and helping draft the executive order gave her more confidence, Artis said she celebrates the opportunity for HBCUs to have a unified voice, but wants to be a voice for private institutions that receive very little in the way of public resources. And just what is that message? Artis desires for lawmakers to understand the challenges HBCUs face in terms of limited resources, the diversity of issues students who attend them come to college with and the unique role HBCUs play in addressing them. As for what she hopes to see accomplished on Feb. 28? “As you know the president announced he’s working on an executive order. We’d like to get that shaped and formed. We’d like to talk about what we’d like to see in the Executive Order to help HBCUs,” Artis said. 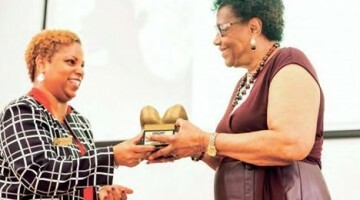 Artis specifically named significant investments in infrastructure, continued support of Pell and not making changes to the education sector at the expense of HBCUs as among her priorities. She said she hopes she and other HBCU leaders will get an understanding of what the Trump Administration is sincere about and the administration will get an understanding about what is important to them collectively.